We are all staring into the abyss: climate change, ecosystem and financial collapse, nuclear breakdown, corruption, terrorism and anarchy. Instead of being eaten up by it all I say, “Awaken Spiritually,” as that transforms everything. We have made our world an unpredictable beast because we fail to work with it intelligently. We have to take back control of ourselves and this is a spiritual matter. Turning on the switch of awakening is a good idea right now. 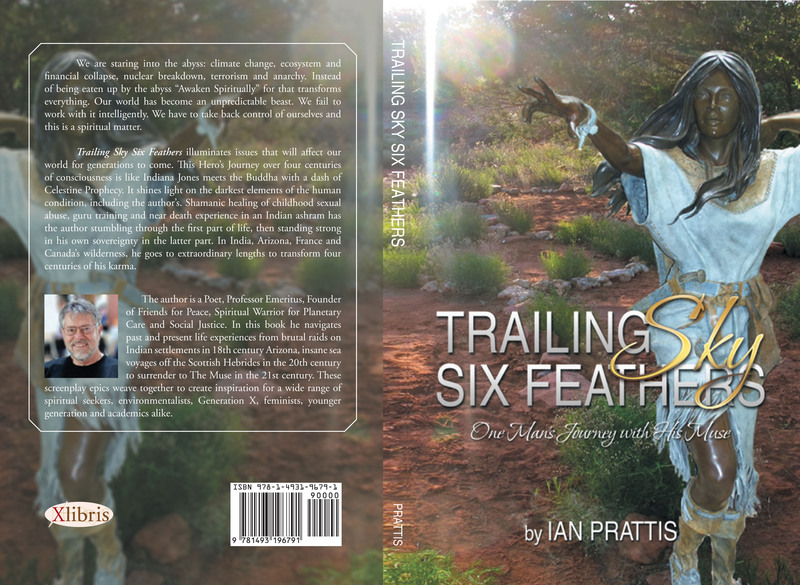 Trailing Sky Six Feathers sheds light on issues that will affect our world for generations to come. This exciting Hero’s Journey is like Indiana Jones meets the Buddha with a dash of Celestine Prophecy. The story told shines light on the darkest elements of the human condition, including my own. This challenging journey has me stumbling through the first part of life, then standing strong in my own sovereignty in the latter part. 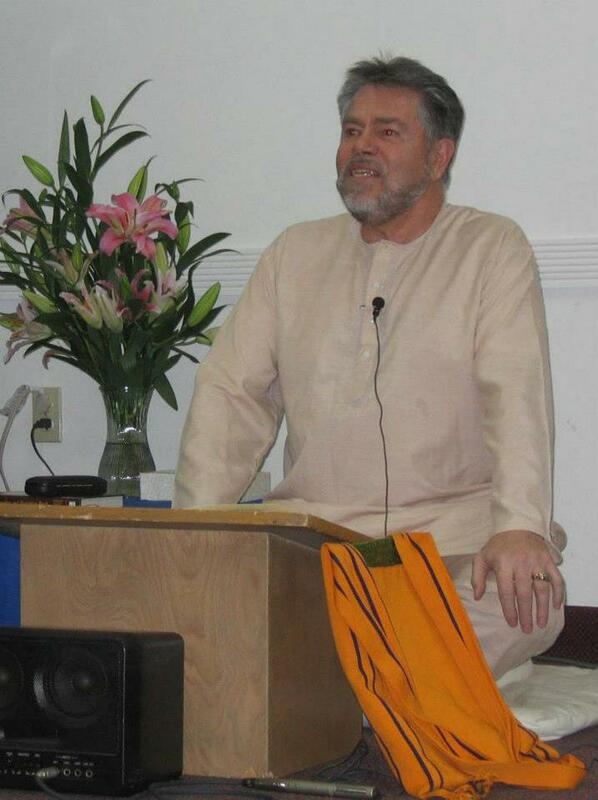 In India, Arizona, France and Canada’s wilderness, I go to extraordinary lengths to transform four centuries of karma. I am an Editor, Poet, Professor Emeritus, Founder of Friends for Peace, Spiritual Warrior for Planetary Care, Peace and Social Justice. In this book I navigate past and present life experiences from brutal raids on Indian settlements in 18th century Arizona, insane sea voyages off the Scottish Hebrides in the 20th century to surrender to The Muse in the 21st century. These screenplay epics weave together to create inspiration for a wide range of spiritual seekers, environmentalists, Generation X, feminists, younger generation and academics alike. My severe and challenging journey includes shamanic healings of childhood sexual abuse, guru training as well as a near death experience in an ashram in India. Trailing Sky Six Feathers initiates a dream vision in 2008 that caps my slow process of remembering a clear mosaic of experience stretching back in time two hundred and thirty one years. Over a period of thirty years, four extraordinary medicine people enhance my process of remembering, while Trailing Sky waits patiently from the distant past. I learn how to reconfigure my understanding of time, place, consciousness and Carl Jung’s psychology. I choose to listen to the feminine voice of Earth Wisdom rather than to the multitude of competing voices in my deep unconscious. Readers will be inspired as they watch my intention and strength of purpose to transcend harmful patterns carried since childhood. Past life memories collide head on with the present, all thanks to the persistence of Trailing Sky Six Feathers, the Muse who refused to give up on me. 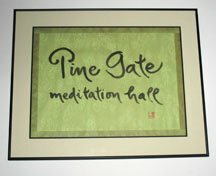 Karma is reversed, the internal battles are over as I begin to live life as a Meditation for Gaia. The relentless shadowing by this engaging Muse brings understanding not only to me, but to anyone engaged in overcoming the darkness of their past. This book caps my long-term fascination with consciousness. As a Professor of Anthropology and Religion I taught courses on Ecology, Symbols, Engaged Buddhism and Meditation Systems. I am a healer, mentor and educator, able to encourage people through example to find their true nature so that humanity and the world may be renewed. This story is offered as a gift to our planet. My purpose in life is to share my wealth of experience on how to live in harmony not just with ourselves but with the place we call home… earth. My journey and resistance to the Muse over four centuries certainly had its moments. They inspired deep reflections about insight and discernment. To say that Trailing Sky Six Feathers became my inner compass misses the point. The indescribable, palpable truth is that this deep source of feminine wisdom was not only lodged in my mind, it was integrated with my total being. My conversations with Trailing Sky opened up the past for my understanding. These dialogs were very different from Carl Jung’s “Red Book,” as I chose one voice to listen to rather than a multitude of competitors in my deep unconscious. With that cryptic encouragement, I chose mountain lion in the East, moose in the South, deer in the West and medicine bear in the North, with dolphin and whale below and the great eagles above. 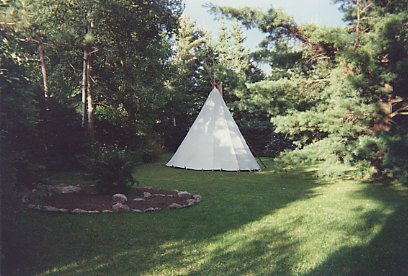 The space at the centre of the medicine wheel was a still-point, a safety zone and conduit for different time/space conjunctions. It became the meeting place for my later dialogs with Trailing Sky. The dialogs with Trailing Sky expanded my mind beyond its logical limitations. There were certainly times that I did not understand, but never, ever was Trailing Sky incorrect. There was something primordial about her all seeing wisdom that was now infusing me, so that I could live and love better. Major lessons in radical self-correction were received through respectful engagement with this very deep Muse. Greater wisdom, compassion and understanding emerged, so that I could engage more intelligently with the travails of life and teach that way of being to others. It made the prophecy of the Deer card, drawn at the medicine wheel with Yaqui guide Sam in Sedona (2007), come alive. Bringer of the message of a new paradigm resting on gentleness and compassion that serves the Earth Mother and penetrates all beings – no matter how wounded they may be. With great courage the Deer clears the path for others to reach their destiny with Spirit by taking away fear.